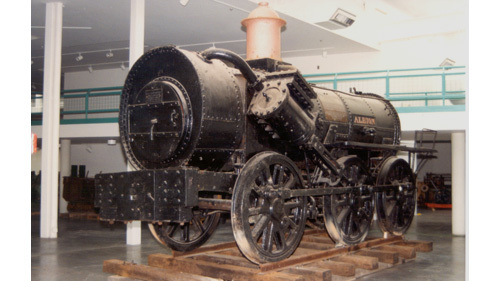 Estimated to be the 34th oldest surviving locomotive in the world, Albion is sturdily built and has held up well over the years. Like Samson, the conditions under which it was operated during its working life contributed to its longevity. Since its job was to haul coal from the mines to the port where vessels awaited to take the load to market, it only travelled short distances at low speeds. And because the harbour froze during winter, Albion only worked eight months of the year. This provided ample time for maintenance. As well, it ran on coal instead of coke which was not as damaging to the boilers. 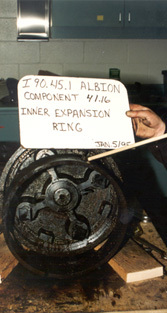 To conserve this gem, we undertook an expert assessment to determine Albion’s completeness and condition. Missing, damaged, and replacement parts were identified and any alterations were analysed to connect them to points in its history. Treated according to our conservation process and procedures, Albion was dismantled and thoroughly documented to ensure it could be put back together correctly and important technical information would be acquired. This conservation process revealed vital information. For example, Albion’s frame consisted of thick timbers sandwiched between two layers of wrought iron, a typical frame construction of the 1830s and 1840s. The entire frame was bent at the left front corner as if from a collision. In that area, the wooden core was replaced. Also added was the wood cladding that once protected the locomotive fireman from boiler heat, but which was missing when Albion came to us.